I have spent to much on this year’s Christmas shopping, hubby has informed me only last weekend. I did disagree with him, of course I did. But I did agree with hubby on one point. If you shop this Christmas, and you must, who can do Christmas without shopping for family, friends and grocery shopping, then try and be shopping savvy and get the best deals and the best discounts you can. The last couple of years have seen the mushrooming of online coupon companies offering discounts for thousands of online merchants. This couponing trend had been popular in America for absolute ages, I actually remember watching American TV programs years ago, when I was still living in Romania, of popular TV programs centered on the extreme couponing habits of ours neighbours from across the pond. I also remember visiting friends in America a few years back and them making a point of NEVER buying anything online without a discount or a coupon. Thankfully, the trend has slowly been set in the UK as well and now we can become professional “couponeers” and chasers of discounts too! 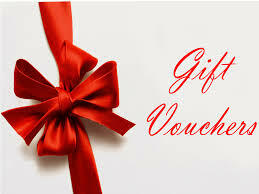 So for your next online Christmas purchase, pause before you buy and try and do some money saving at vouchersky.com or any other voucher or coupon saving website. Please be persevering, sometimes it takes a few attempts to find a valid code or a substantial discount but it will only be worth your search, the sense of satisfaction that comes from saving! Disclaimer: we were offered remuneration for mentioning vouchersky.com in our post but the opinions expressed are entirely our own. Previous PostQ Pootle 5 Christmas Special DVD…and another giveaway! Next PostSo, how are you?